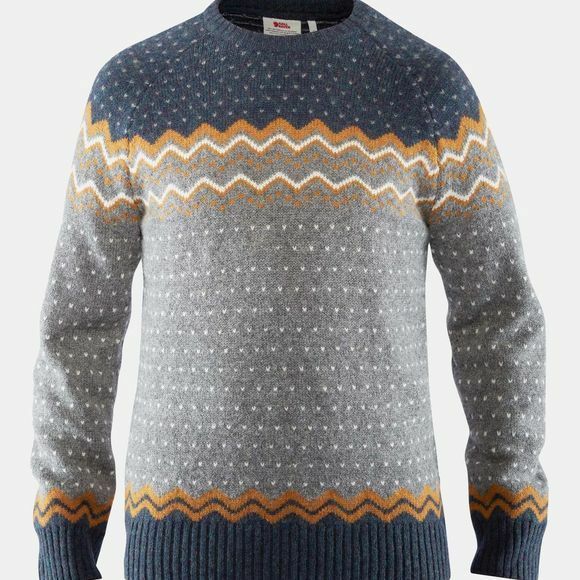 The Men's Övik Knit Sweater from Fjällräven is a comfortable sweater in soft, warm wool for everyday use and a relaxed outdoor lifestyle. A beautiful patterned garment that also has excellent functionality as wool wicks away moisture from base layer garments and is one of few fibres that warms even when damp. Perfect as an insulating middle layer under a shell jacket, or together with a down vest, for example, on warmer days. It has a round neck and raglan sleeves with reinforced elbows and ribbed edging at sleeve cuffs and hem for comfort and style.